The Maax Optik 6032 features a minimalist design that combines straight and curvaceous lines for trendy comfort. The optional Maax Hydrofeel whirlpool system, has powerful water jets, sized and shaped to ensure a deep, targeted massage at critical body points. 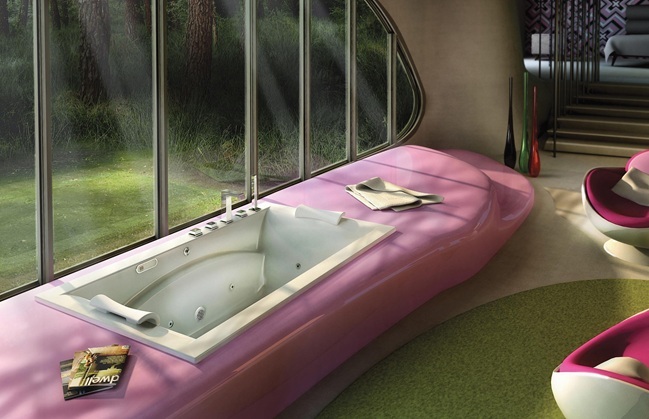 Also available as an air tub, whirlpool tub, air/whirlpool combination. Call 800-720-1062 for more details. Magnet backed headrest for cushion. Factory installed only if cushion ordered on initial order. The Hydrofeel therapeutic whirlpool system, available on select MAAX Collection bathtubs, is the height of fine design. Powerful water jets, sized and shaped to ensure a deep, targeted massage, line the tub for contact at critical body points. Back and foot jets round out a massage as invigorating as it is relaxing. Your ears deserve the same luxurious treatment as your muscles but spa noise can easily disrupt even the most tranquil atmosphere. MAAX puts that concern to Rest, a silent whirlpool massage system available on bathtubs with our True Whirlpool, Hydromax or Hydrofeel massage systems.